Daniel Higgs, Baltimore's visionary artist. 96 Gillespie is pleased to announce a visual arts exhibition by acclaimed Baltimore visionary artist, Daniel Higgs. Born in 1964, Daniel Higgs is one of the most influential and widely recognised artistic voices of his generation. A contemporary and peer of artists Chris Johanson, Cynthia Connolly, and Jim Houser, along with curators Aaron Rose and Rich Jacobs; he first came to prominence in the 1980s as the frontman and songwriter for legendary American band Lungfish. 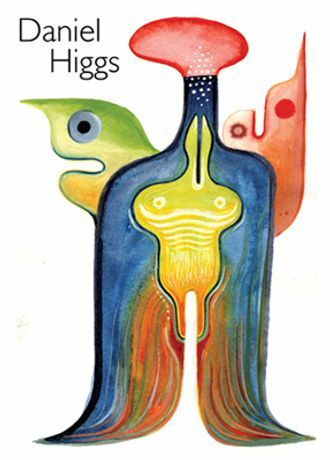 Renowned for the intensity of his lyrics and live performances, and now a successful solo musician, poet and visionary artist, Higgs continues to produce an astonishing body of work across genres and media. energies and rhythms as his lyrical and musical output. On exhibit, are a large collection of new small to medium sized oils and ink paintings and drawings on board and paper, with several older pieces as well.